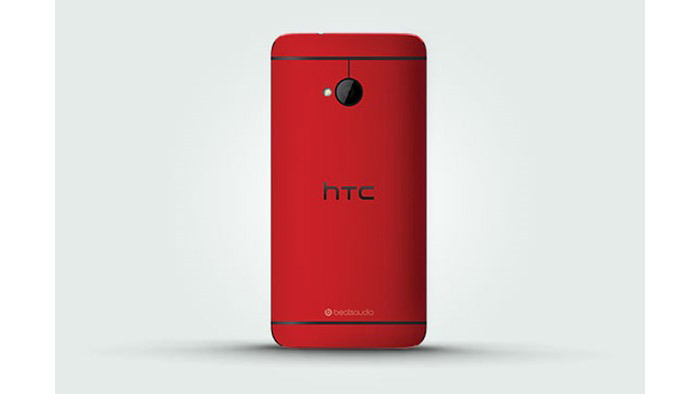 HTC plans to release a new chick smartphone colored in bright red in just a number of days. It appears the device will be high-end and will come with some nice and powerful hardware under the trade name One Glamour Red. The HTC One Glamour Red will come with a 4.7-inch Super LCD display at Full HD resolution (1920 x 1080 pixels, 468 ppi) protected by Gorilla Glass 2 technology. The device will feature a powerful Qualcomm Snapdragon 600 processor with four cores at 1.7 GHz and Adreno 320 graphics. The smartphone will have 2 GB of RAM for handling heavy applications, 32 GB or 64 GB of internal storage (26 GB and 58 GB available), 802.11n Wi-Fi, Bluetooth 4.0, NFC, DLNA and a 2300 mAh battery. A nice feature of the One Glamour Red is the inclusion of a rear 4 MP camera with an UltraPixel BSI CMOS sensor, f/2.0 optics and the capability to record video at Full HD resolution at 60 FPS and support for HDR. Up front the smartphone has a 2.1 MP camera. The entire device runs Android 4.1.2 and measures 137.4 x 68.2 x 9.3 mm for total weight of 143 grams.